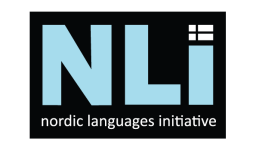 We think knowing about a Nordic language gives you deep insight into the life of a Swede, Norwegian, Finn, Dane or Icelander. Because the Scandinavians get the social aspect to make things work, there is a lot to learn from them! Come join our affordable group lessons at a central, TTC-accessible Toronto location. You have just 4 MORE DAYS to get an NLI discount! Our early registration fee is $399 for twelve 2-hour classes, a discount of $51 off our regular fee. Locations will be mailed out to registered students a few days before class. Previous:Revving up for Fall 2018 … Registration is NOW OPEN! Next:Meet our new Finnish teacher, Sini Maury!